Why cavity teeth is a top concern in teenagers? The main reason for concern about cavities in teenagers is permanent teeth. 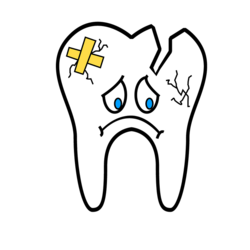 The permanent teeth (ones that will last through adulthood) begin erupting by the age of 6-7 years and by the 13th year, all permanent teeth (except for wisdom teeth) would have erupted. Hence, any damage that occurs to the teeth at this age would be considered permanent. All steps must be taken to ensure good health of permanent teeth so that they can last all through adulthood. Dental caries or tooth decay results in the demineralization of the teeth leading to the formation of cavities. The mouth harbours several different types of bacteria that can attach to the tooth by forming a thin biofilm called plaque. If the plaque is not cleared, a number of bacteria get collected on the plaque and they can reside on the tooth for a longer duration. Tooth decay is a result of bacterial action during which sugars in foods that we eat are converted to energy by the bacteria that reside on the teeth. During this process, the bacteria produce certain acids. These acids can dissolve the crystals which form the tooth structure, thereby causing cavities. Teenagers tend to brush less frequently than younger children. Delayed brushing or irregular brushing can result in the formation of plaque. The plaque thus formed can eventually result in cavity teeth as well as gum problems. The consumption of sugary drinks and foods is considerably higher among teenagers. Additionally, consumption of sticky foods that last for a longer time than other foods also increases the risk of cavities. A regular dental check-up is necessary for children as well as adults. However, teenagers may not complain of any tooth problems or may avoid visiting a dentist due to the fear of tooth fillings. Tooth problems in the initial stages may go unnoticed due to this and cavities may progress unabated. There are several ways to prevent tooth decay. Some of these have been outlined below. Eating a well balanced healthy diet can help avoid cavity teeth. Reducing the consumption of sugary foods and drinks ensures less amount of sugars to the bacteria and thereby lesser risk of tooth decay. Make sure you are well hydrated through the day. A good amount of saliva in the mouth is helpful in preventing tooth decay. Brushing should be carried out twice a day to ensure that there is no plaque on the teeth. This also helps maintain a fresh breath. A Periodic visit to the dentist can help in preventing tooth decay in many ways. 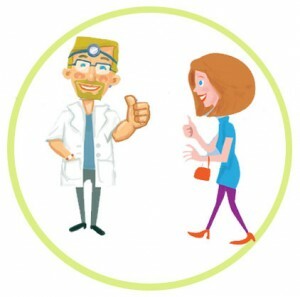 Oral hygiene and brushing habits can be reinforced during a dental visit and the dentist or the dental hygienist can help improve brushing techniques. The dentist also applies a filling material called a ‘sealer’ to cavity prone teeth. This prevents tooth decay. Additionally, tooth cavities can be identified and filled to ensure that the cavity does not progress further. Schedule a dental visit today to check your oral hygiene status. When detected in the early stages, some of the decay processes can be reversed. The tooth is made of several different minerals such as calcium and the saliva can deposit some of it back if the decay process is stalled with improved oral hygiene. In some cases, your dentist may recommend fluoride based toothpaste to reverse the decay process. In cases where the tooth has developed a cavity, it will need to be ‘filled’ with a dental cement or ‘filling material’. The damaged part of the tooth will be removed using a small drill before being filled. This mainly helps in strengthening the tooth. 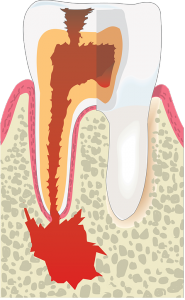 In cases where the cavity has extended quite deep, a procedure known as root canal treatment may need to be carried out to save the tooth. This treatment is usually followed by placing a crown on the tooth. Protecting the permanent teeth in teenagers is utmost important as our teeth serve a variety of purposes other than chewing. They are the most conspicuous part of our face when we smile and it does leave an impression. So healthy teeth are important for a good social life during the most crucial part of our life, teenage. Healthy teeth are also required for a healthy body as loss of teeth or reduced chewing efficiency can affect the food choices and eating patterns negatively. Most importantly, the teeth present during teenage are the permanent ones and need to be protected as it lasts for a lifetime. Hence, it is vital to visit your dentist at regular intervals to ensure good oral health. Formation of cavity teeth can be avoided in most instances with good oral hygiene and a healthy diet.